Image: Russian President Vladmir Putin, 2017. Wikimedia, Creative Commons license. “Will no one rid me of this turbulent priest?” This pithy rhetorical question led to one of history’s most notorious murders - made all the more infamous for being the subject of TS Eliot’s play, Murder in the Cathedral. The date – 1170; the victim - Archbishop Thomas Becket; the complainant - King Henry II; the location - Canterbury Cathedral; the assassins - four knights for whom murder constitutes their sole reason for a place in the public record. Few if any historical events have more compelling resonance in our own time - from the source of the monarch’s exasperation, to the spine-chilling consequences of his words. The words themselves may be a summary, or a gloss on what the king really said. Historian Simon Schama has offered a different, more prolix version. But over the quarrel to which they gave rise there is no dispute. It was about Europe - or more accurately about Rome, the dominance of the Holy See and the freedom of English kings to decide their own affairs. Henry had drawn up what became known as the Constitutions of Clarendon, a first attempt at loosening papal authority over “Christian” England. Most of the clergy conceded, but Becket baulked, claiming that the document flew in the face of God’s will - the eternal deity having appointed the Pope as sole arbiter of earthly matters. Brits wrestling with the causes and consequences of Brexit will readily spot the parallels: the objection to control from Europe and the anger - if not, so far, the malign consequences - of feeling that within the EU we are unable to govern ourselves. If there is a more deadly parallel, it arises not from our relationship with our EU neighbours but in the lesson it provides about the potency of words spoken in anger or in cold, calculated spite by political leaders intoxicated with power. UK politicians and media alike are currently riveted by a bizarre certainty that the attempted murder of Sergei Skripal and his daughter Yulia with a deadly nerve agent could only have been carried out on the express orders or at any rate with the approval of Vladimir Putin. Russia’s villainous leader must, by the same token, be responsible for the unexplained deaths of other UK-based Russians and, of course, for the murders of Alexander Litvinenko and Nikolai Glushkov. Sergei Lavrov, the po-faced Russian foreign minister, denies all knowledge of such iniquities. The idea his boss might stoop so low, he protests, is beneath contempt and unworthy of serious consideration. Of course, he is right. Political leaders of ‘great’ countries do not order assassinations except possibly, and then very rarely, against significant figures who pose a personal threat to them. 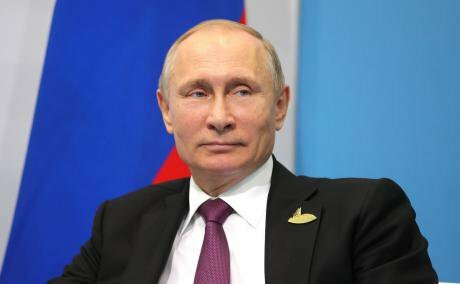 For Putin to bother himself with the death of insignificant ‘traitors’ when he has a country to run, a war to win in Syria and another in Ukraine, and an electoral victory to prepare and then celebrate is an absurd idea. Had the Russian leader wished to dispose of Skripal, he could easily have done so during the latter’s lengthy spell in a Russian jail, and well before he was released in a prisoner swap with the West. Far more likely is that the spur for the murder and attempted murder of exiled Russians was Putin’s confident prediction, made to an adoring audience, that whoever betrays the motherland is destined for an early demise. That assertion came in 2010. Like Henry II’s outburst, no other remark would be necessary. Thereafter, subalterns - probably in the secret service - could be relied on to handle matters, their licence to kill taken for granted, their freedom to act against ‘enemies of the State’ quietly and effectively understood. Just like Thomas Becket’s murderers, they do their best to flee the vicinity of their deeds and to remain in the shadows. But, if by chance they are exposed - as happened in the case of Alexander Litvinenko - we learn that they have long since slipped away to safety. Neither Putin nor his inner circle will have given an unequivocal instruction for any of the UK-based Russians to be killed. As befits those who bear on their shoulders the burden of the State, their hands will be regularly rinsed in disinfectant. So that when they assert - as they have done - that the poisoning episode in Salisbury has nothing to do with them, they are almost certainly telling the truth. Then we have an additional question of how far Vladimir Putin is truly in charge. To be sure, he is the front man, the strident nationalist, the tough defender of the motherland against the dark forces of the West. Assassinations of exiled Russians in the UK, however, are far from the only crimes widely attributed to him and his entourage. Since their accession to power in 2000, they have been even more murderously effective at home, where more than thirty journalists have been assassinated, political opponents have been jailed or liquidated, and countless Chechens have been slaughtered in a war against Chechnya. Hardly necessary to elaborate on Russian ventures further afield, from the assault on Ukraine, to the merciless bombing of civilians in Syria and the downing of Flight MH17. Rightly or wrongly Putin is reputed to be at the centre of these atrocities; and by this token alone he is and will always be a marked man, conscious of being a target of revenge. In that sense, if in no other, he will never be free to do and to move as he wishes. Danger will stalk him wherever he goes. Either he will remain as president/prime minister indefinitely and enjoy the protection of the State, or he will find himself somewhere, at some unguarded moment, in the cross-hairs of a firearm or digesting one of the poisons in which Russia seems to specialise. Self-preservation is not the only reason why Putin can’t stand down. He is probably not so much a leader as a factotum in the eyes of his entourage of billionaires, assassins and thugs. At liberty to conduct assassinations, to dip their hands into State coffers, to siphon off vast sums from Russian enterprises, to organise the laundering of ‘dirty money’ through the City of London and other venues, they will be only loosely if at all in Putin’s personal control. Even if he wanted to retire, it’s unlikely they would let him do so until and unless they had someone equally amoral, ruthless and manipulable to take his place. He is a prisoner of the savage world within a world to which he has devoted his political career. His unsmiling, shrew-eyed demeanour is not a mask worn to intimidate opponents but the reflection of a sullen, brutally corrupt inner life from which he will find no escape except via the cemetery. But why the UK? Two reasons suggest themselves. First, the City of London is the prime launderette for dirty money, the world’s largest controller of offshore tax havens, and, as George Monbiot memorably notes, the place where democracy goes to die. No better venue exists anywhere for the clandestine conduct of financial transactions. Second, many Russian oligarchs - the fabulously wealthy figures who emerged after the break-up of the Soviet Union - have found a warm welcome not only in London’s square mile, but also in the elegant if morally seedy purlieus of Westminster and Matthew Parker Street, headquarters of the Tory Party. They have discovered that for a few hundred thousand a-piece - peanuts to them but a tidy sum to Party Treasurers willing to trade moral integrity for cash - they can avoid unwelcome scrutiny. So, at least, it seems to those of us eager for an explanation of why, as Home Secretary, Theresa May refused to sanction an enquiry into Litvinenko’s murder, and why no less than fourteen unexpected deaths of Russians were initially brushed off as “non-suspicious”. Is there a link between Tory moral blindness about the origin of large donations from the UK’s ‘Russian’ citizens and Tory insouciance about the strange deaths of Russians living in the UK? It is a question we hardly dare ask for fear of some awful reprisal. When Jeremy Corbyn tried to raise it in parliament, Tories and media alike branded him a traitor, a turncoat, a Russian turnip. The BBC photoshopped his hat to make it look Bolshevik, and stood him in front of the Kremlin. A number of Labour backbenchers gave a discreet nod to the smear campaign. Corruption, as we can see, is not the only British speciality. The UK is equally adept at hypocrisy, at pointing accusing fingers at ‘enemies’ while quietly colluding with them for mutual gain and vilifying anyone who ventures to object. Valdimir Putin and colleagues appear to have had some good friends in this country; friends of proven discretion and lacklustre curiosity. Hitherto even mysterious deaths have been quietly raked over like earth over a grave. Only because the chosen weapon - in this case a nerve agent - has affected the community at large has the matter come to wide attention and provoked justifiable outrage. Conspiracy wonks will see the incident as a Russian test of British resolve and Western unity. For them, the ‘enemy’ is always dangerously efficient. But the assault on the Skripals in Salisbury looks more than anything like a blunder, an unintended revelation of depravity and ruthless criminality on our streets and in subterranean corridors of power. Will we ever get to the bottom of it? Best not to hold our breath.